Claire Gignac is a multidisciplinary artist, and co-founder and co-artistic director of La Nef. 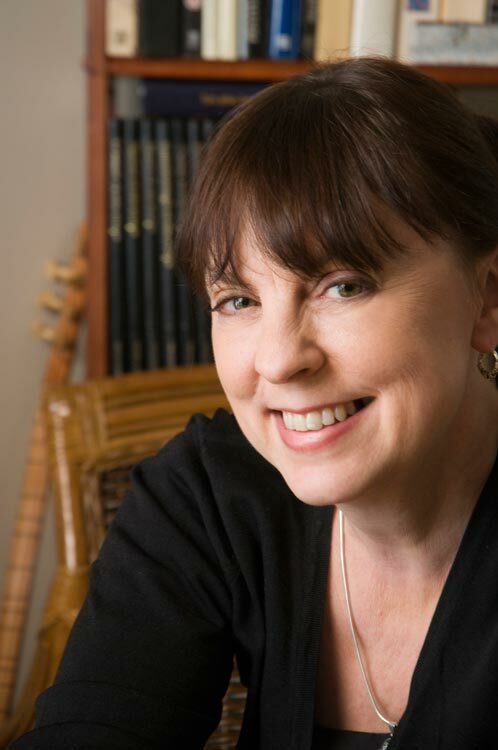 Her eclectic musical trajectory has led her from classical music to creative music, and she has delved into ancient music, jazz, musique actuelle, and world music along the way. She is a notably versatile artist who works as a contralto, multi-instrumentalist, composer, arranger, musical director, producer, comedian, and stage director. 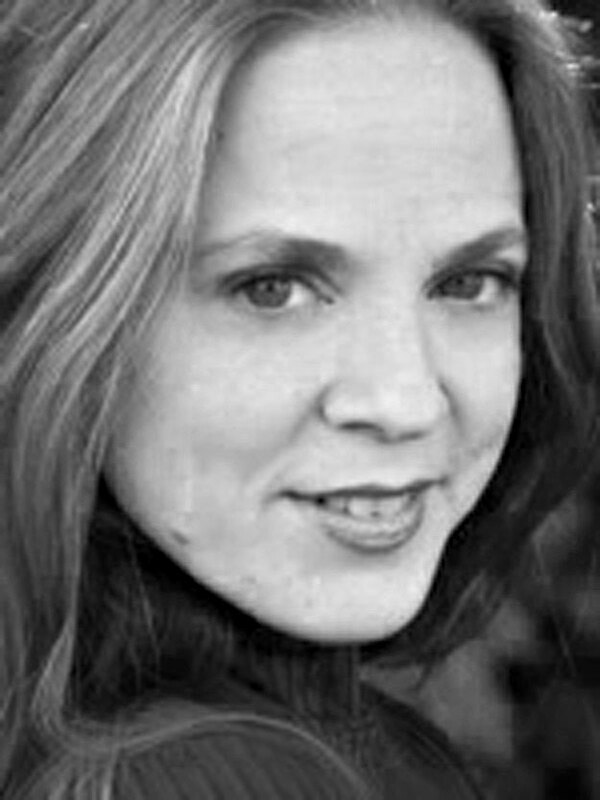 Since 1991, she has interpreted, created, and directed numerous performances by La Nef. In 1998, she joined Ex Machina to work with director Robert Lepage as co-creator, comedian, and composer on Zulu Time, Die Dreigroschenoper and The Busker’s Opera, which toured globally from 2000 until 2008. During the same period, in 2000, she founded La Nef’s musique actuelle stream of activity and, since then, has been the artistic and musical director for twelve creative music projects and multidisciplinary performances. Many of these works have won notable awards and nominations: Lass Kiss (2006), a solo multimedia performance, was an Opus Prize nominee in Musique actuelle and Electroacoustic Music. Déserts (2008) won a 2007-08 Opus Prize in Jazz and World Music, and its recording garnered several nominations (ADISQ, Best World Music Album, and CFMA, Best World Music Album and Best Group). Each of Ultreïa! (2009), Notes de Chevet (2010), and Îles (2011 and 2012) was nominated for an Opus Prize for Concert of the Year in Jazz and World Music, and Urnos won a 2011 Opus Prize in Musique actuelle and Electroacoustic Music. In 2013, she released Notes de chevet on the Fidelio-Audience label, and created Bowling Blues, a multidisciplinary music-and-dance performance in collaboration with American choreographer, Heidi Duckler, a specialist in site-specific performance. This work will be presented at the Walking Distance Dance Festival in San Francisco in May 2014. 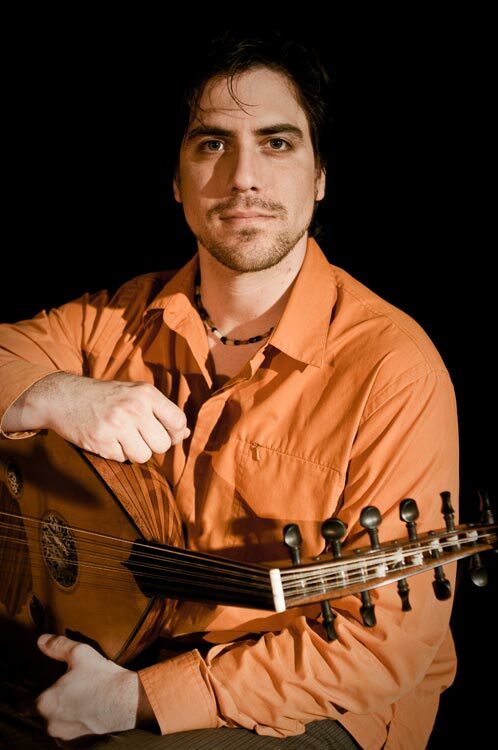 Shortly after graduating from college in Renaissance lute, Andrew began making a living as a musician. 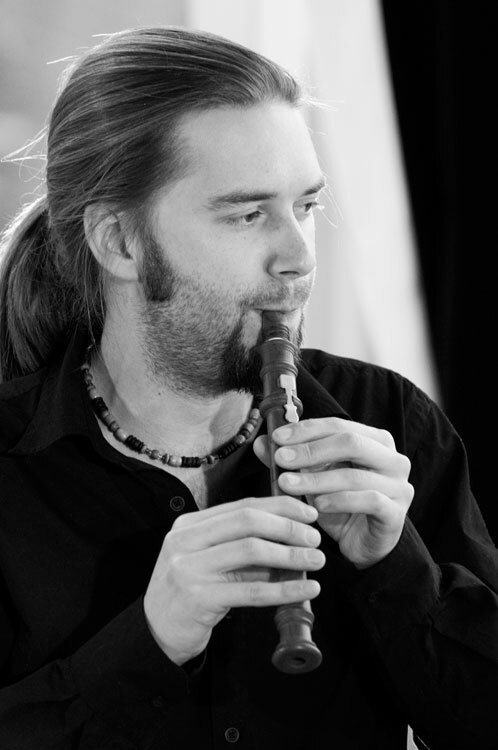 Since 2000, he has recorded and collaborated on almost a dozen CD’s with musical ensembles such as La Mandragore, Weshida, and L’Ensemble Cercamon. He is a singer and songwriter with the folk group La Balconade, which he founded. He has played on film scores written by Michel Cusson and Luc Boivin, and for documentaries such as Carthage la passion d’une vie, Aventure archéologique en Tunisie, and Femmes mystiques du Moyen-Âge. Since November 2006, Andrew has been playing in La Nef’s Musiques des Montagnes. In 2007, he formed the duo De Longa with Pierre-Alexandre Saint-Yves. In 2008 this duo, dedicated to the composition of original music for early, traditional, and modern instruments, released its first CD on the Fidelio Music label. 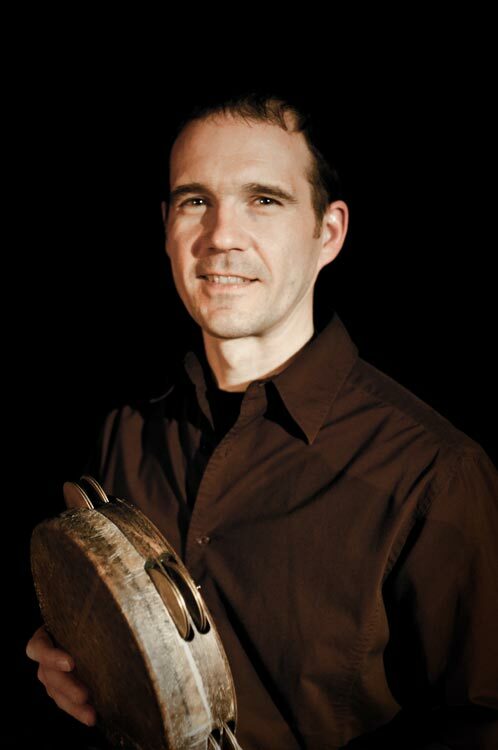 Patrick Graham’s cross-cultural percussion style reflects his training in Western classical and contemporary music and his extensive explorations of Mediterranean, Irish, South Indian, and Japanese rhythms. As a collaborator with groups such as Autorickshaw, On Ensemble, Norouet, and La Nef (among others), Patrick’s unique sound reflects his experience in multiple genres of music and his profound fascination with the power of rhythm. In January 2009, Patrick released his first solo album entitled Rheō. Along with a busy performing and recording schedule, Patrick is also active as an instructor, and has taught workshops in Canada, the USA, India, China and Japan. 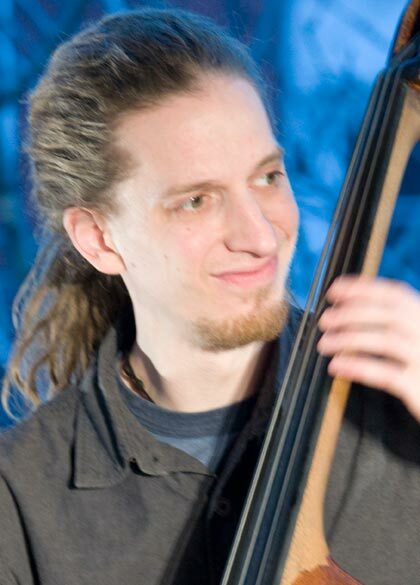 Bachelor in jazz interpretationat Mc Gill University in 2003, Mathieu Deschenaux has been active on the Montral music scène for almost 10 years now. Member of diverse musical groups like, among others, Gadji Gadjo, Émilie Proulx, Le hot club de ma rue, the Merovitz Project, Cercamon and the trio Straight pipe. This led him to perform in numerous venues and festivals all over Quebec, Canada, the United states, France and Romania. He also performed over the years with Eden 106, the ensemble Fleur de lys, Francesca Gagnon, the Andrew Homzy Selected Sextet, Bobok, the Quatuor carré, Kleztory, La Balconade, Ipso Facto, Oztara. He also signed the music of short films (Ampliation et Monstre) and participated in the création of live music for théâtre (Chroniques and Enlèvement, Séquestration et Mise à mort d’un humoriste). 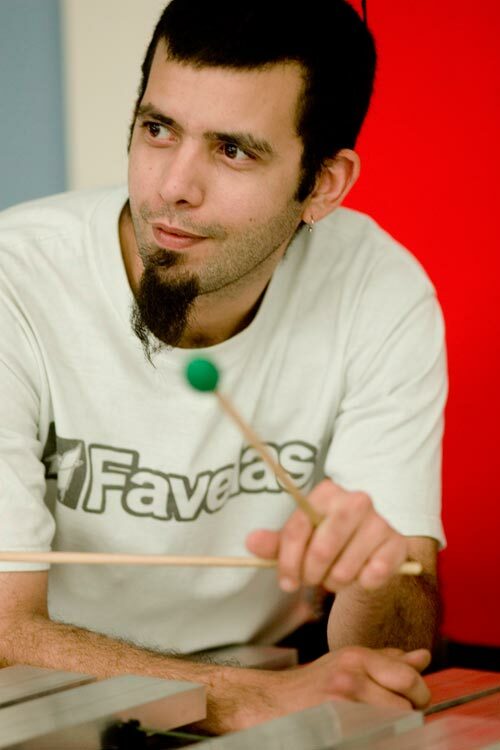 Autodidact musician, improviser, “noisist” and multidisciplinary artist, Frédéric Lebrasseur was born in Province of Quebec with drum sticks in his hands. From an early age, he has explored the world of percussion by playing drums, didgeridou, guimbarde, boat horn and foot-tapping (podorhythm). In addition, his musical curiosity extends into the world of electro-acoustics through his use of the laptop computer. 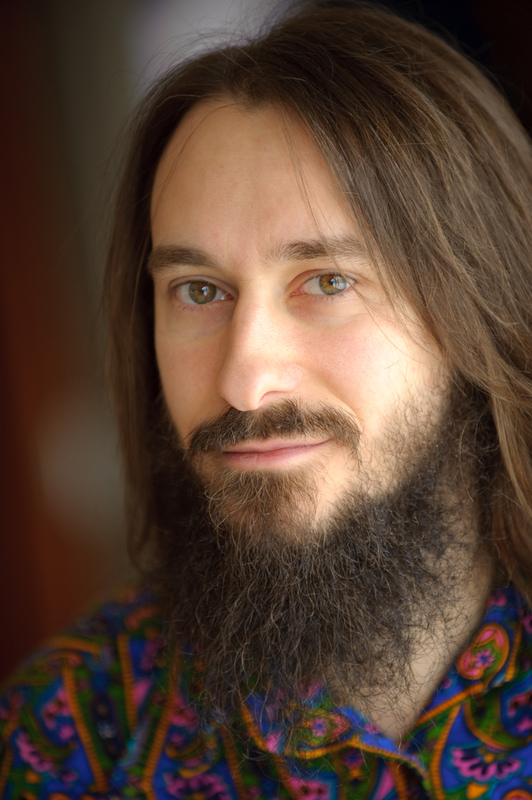 Frederic composes, directs and improvises with numerous bands, such as Ranch-O-Banjo and Interférences Sardines. As a dedicated professional musician, he has had the opportunity to perform his music in more than 25 countries. Furthermore, through creating soundtracks for animated films with the collective Kiwistiti, Frederic has had the opportunity to work at the National Film Board of Canada. These films have won many awards and have been selected for many prestigious festivals around the world. Frederic has been commissioned to create dynamic and specific sound environments for theatre, cinema, circus, visual arts and contemporary dance events. He works with such directors as Gill Champagne, Claudie Gagnon, Karine Ledoyen, Robert Lepage or Pierre M. Trudeau. 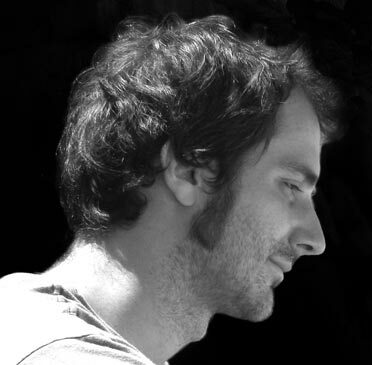 As a multidisciplinary artist, Frederic has worked with Cargo, a puppet show (which is a co-production between Théâtre Incliné, Ranch-O-Banjo (Quebec) and Le Clan des Songes (France)). He has travelled and performed with this show in twelve countries outside of Canada. A wonderfully open minded musician, Frederic has accepted musical challenges by exploring the musical dramaturgy of a water fountain in the Quebec city of Baie-Comeau and also by directing a harbor symphony, in the Polish city of Gdansk, from a boat mast for the celebration of 20 years of democracy in Poland. As the son of two teachers, Frederic’s passion for teaching is apparent in his musical creation workshops which he has delivered to different groups including children and people with disabilities, as well as artists from various disciplines. Frédéric Auger has been chief sound-system operator for Usine C, a multidisciplinary theatrical creation and performance center, since 2005. He is interested in exploring techniques (both acoustic-mechanical and electro-digital) for capturing sonic material and manipulating it in real time, and in using time-delay loops between sonic source, effect processors, and diffusion systems. In recent years, he has concentrated on creating soundscapes and integrating music with theatrical performances. He was technical director and sound-system operator for Infrarouge (The Invisible, by Marie Brassard ) and La Nef (Last Kiss, Skin, a percussion blitz and Ultreïa !, Claire Gignac, director); and was sound-system operator for Sibyllines (Woyzeck and Douleur exquise, Brigitte Haentjens, director ), Ex Machina (La casa azul and The Busker’s Opera, Robert Lepage, director), l’Orchestre d’Hommes-Orchestres (Joue à Tom Waits), the Elektra International Festival of Digital Arts, the Ekumen collective (sonic art), Jorane (Vent fou and 16 mm).